1. Hiking allows you to shape the date as it progresses without being awkward. You can begin a hike with a rough "plan" for the length of time and distance, but at any time you can shorten/lengthen this plan without offending the other person. 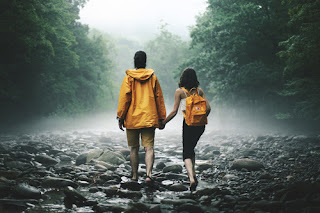 If the date is going well and you want more time you can stop for lots of breaks, walk slowly, venture off on other trails, or pull out a romantic picnic that you oh so conveniently had in your bag. If you're really enjoying the date you can stop for a bite to eat on the way home. If the date is going poorly, you can say you have a blister or a headache, you think you forgot to lock the car, or simply that you are tired and ready to turn around. None of this is offensive to the other person, and you can end the date gracefully. 2. 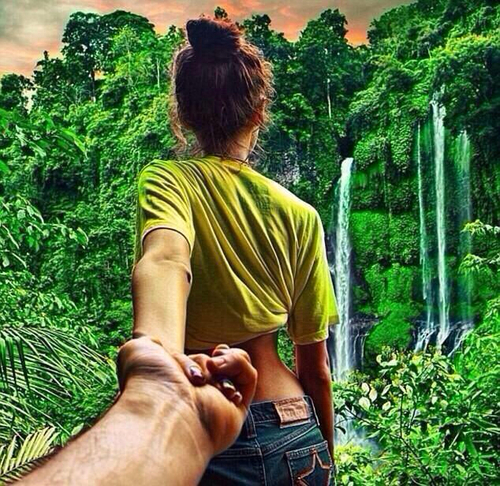 Hiking gives you a romantic setting IF you want it to. A gorgeous view gives you the opportunity to be romantic, or not. At a viewing point you can place the focus on either a) the physical view, or b) the person you're sharing the view with. 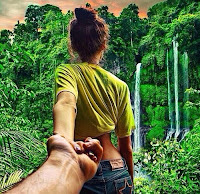 If you like the person then say something like, "I'm so glad you came here with me" or "This was such a fun hike. Thank you for being here." *Bonus* if you pick a wildflower and give it to them. If you don't like the person then talk about the surroundings, like, "Wow, that's an amazing view" or "That sunset is awesome." Or better yet, if you don't like the person, don't linger at the viewing point for too long. 3. Hiking is a mini fitness evaluation. It can be hard to date a couch potato if you hit the gym 7 days/week, and vice versa. It's not easy for either person when health and fitness habits are polar opposite. 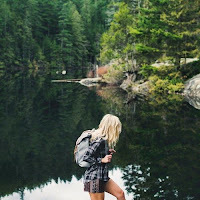 Hiking is a non-threatening way to evaluate fitness habits. This isn't a Crossfit date. 5. Hiking creates the perfect selfie photo opportunity (that you can then show to your friends and family, of course). Sometimes it's hard to get a picture together when you first start dating. You don't necessarily want to be suggesting selfies on a first or second date. But a great view is a great reason to take a picture. You can easily say, "Hey, let's get a pic of us, too!" You'll be glad you captured the memory. 6. 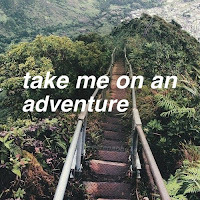 Adventure + Exercise = Endorphins. You'll walk away from the date feeling positive vibes. Even if the date was just okay, you're more likely to think positively of it afterwards because of the endorphins. 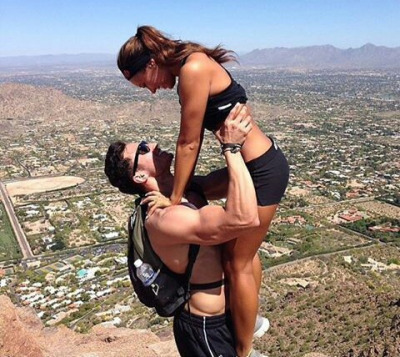 So basically hiking = a better shot at getting another date. 7. Constant conversation isn't necessary. Unlike sitting at a restaurant table, you don't have to keep up the momentum of the conversation. When you're hiking, it's perfectly fine to be quiet for a bit. Focus on not tripping. Take in the beautiful views. There's no pressure to fill every silence. 8. Hiking creates a stronger bond, faster. It's all about creating excitement and shared discovery. 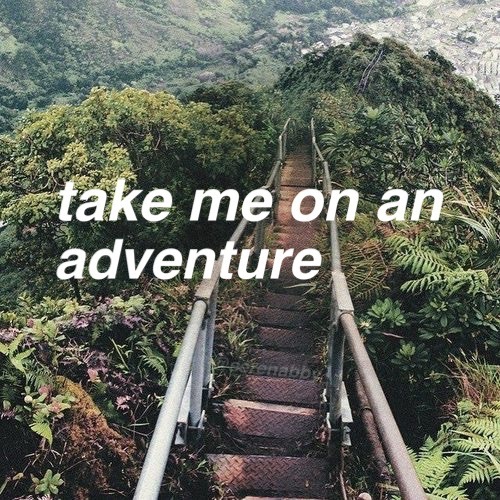 Hiking will set you apart. You won't get filed away with every other dinner date. I'd venture to bet that you would create a stronger bond over hiking than you would over dinner. 9. Dating can be expensive. Hiking is free. You don't have to "pretend fight" over a bill. No one will feel guilty or obligated after the date is over, whether it was a good date or a bad date. If you're hitting the dating scene hard these days, than this is an economical, low-pressure date idea. 10. Hiking breaks down the "touch barrier." If it's a first or second date then you're probably not holding hands and showing much PDA. Hiking is a great way to break down this touch barrier. You'll have opportunities to give them a hand, playfully nudge them, grab their arm or shoulder, place your hand on their back, give them a piggy back ride, or share the same water bottle aka basically kissing. Now tell me you don't think hiking is a great idea.